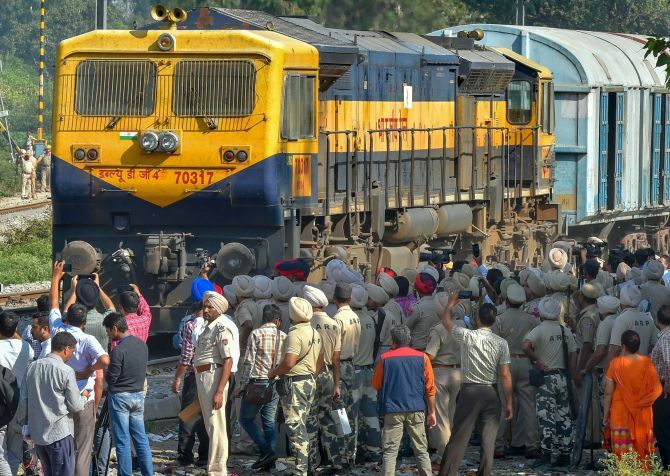 Who is to be blamed for the saddening Amritsar railway accident? May the souls rest in peace! 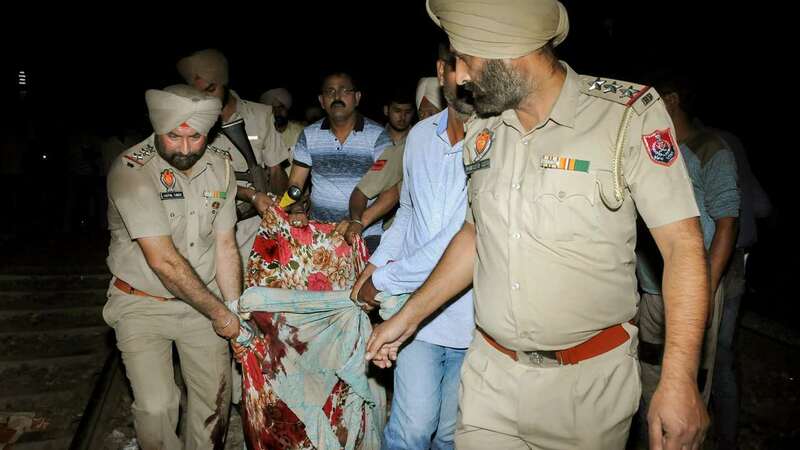 The night of Dussehra, the festival that celebrates the victory of good over evil, was about to end happily when suddenly all the news channels and social media platforms started broadcasting the tragic Amritsar railway accident. The accident which ruined hundreds of lives. Lives of the dead, of the affected and the families. The accident was so horrible that for some it's even hard to recognize the dead bodies. Let's throw some light on the whole incident and think what was the actual cause and who is to blame. What actually happened in Amritsar? There was a lavish program organized on the auspicious occasion of Dussehra in Amritsar. Like everyone all across India, people there were also celebrating. There were thousands of people who gathered to watch the Ravana burning. But, none of them knew that this happiness is short-lived. The video of the accident which is going viral shows how within eight seconds, a train comes and goes slaughtering about a hundred people who were standing on the railway track enjoying the light show of the burning crackers. The media says the number of people killed was sixty-two. But, the eyewitnesses say that the number is more than two hundred and fifty. This is a massive mass killing and the unrest among people is understandable. On the TV debates and on Twitter, a political war has started. And the reason for this political debate is a rivalry between the state government of Punjab and the central government of India. So, here begins the blame game. None of them is ready to understand the sentiments of the people affected. They are busy throwing stones on each other, knowing that the glass walls are going to break very soon. But the question here is who exactly is to be blamed? The answer is “the people”. No matter what railway track was not a place to stand and watch the program. It was not at all safe. The accident could have taken place at any time. So at first people themselves have to take the responsibility that the idea of standing on the railway track was a blunder. A train in is full speed cannot slow down on seeing a group of people. All the train could do was to blow the horn. Where is the train and the driver? Sources say that the railway department has hidden the train somewhere away from the eyes of media. And even the train driver, Arvind Kumar, had been kept under some special security and his identity has not been revealed. 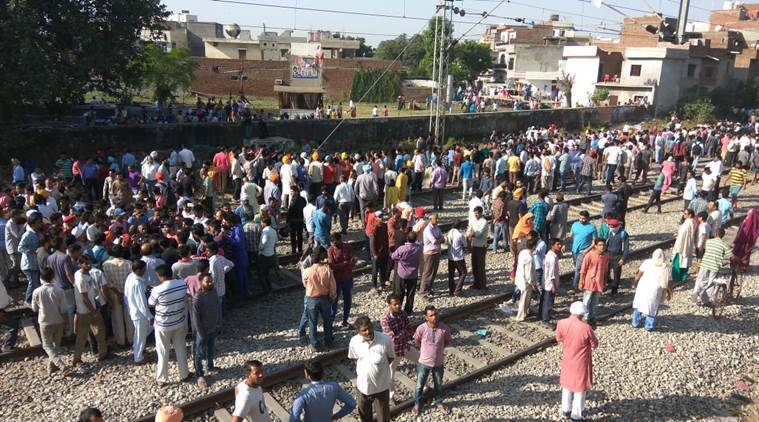 One of the Hindi news channel broadcasted the written statement of the train driver, Arvind Kumar, which said “ As soon as I saw massive people standing on the track, I tried to pull the emergency brake but since the train was in speed it took time to slow down. Whose fault it was actually? The people who took permission to organize this program? Or the police force which didn't keep the crowd away from the track? Or the railway department who didn't stop the train at the previous station until the program ended? Was this the driver's fault? Is this the fault of any political party or person? Is the government really the culprit of everything unfortunate that happens to us? There are endless questions which need to be answered. And we think calmly we already have the answers crystal clear. But the date when we shall find answers to them is not. Feeding Trends extends its prayers and support to the victims, their families, and whole of Amritsar city. May their souls rest in peace. Where is next generation of banking?